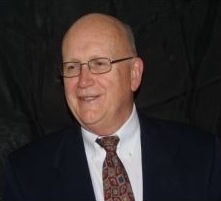 Bill consults in the operational areas of marketing, strategic planning, financing, manufacturing, and information technology. He focuses on “Business Reality Checks” and business valuation, determining the marketing and financial position of companies, where they might improve value and prepare for exiting or sale of the business. Bill is a graduate of the University of Puget Sound with majors in Business Administration and Economics. He has advanced senior management training from the University of Washington, UCLA, and Buffalo State. He is Past President and Director of the National Wood Window and Door Association and past member of the Institute of Management Consultants and The Strategic Planning Institute. We have been assisting business prepare for sale or financing for over 15 years. Our basic programs are: 1. THE SOS PROGRAM that evaluates your situation, objectives, and sets out solutions for achievement of these objectives, 2. The Business Reality Check that reviews the internal, external, and financial aspects of the busines coupled with a basic valuation range of the business, based on EBITDA and Free Cash Flow, coupled with a buyer's ROI if purchase within the valuation range and term structure, 3. Formal Valuations covering 12 valuation methods and similar current sales 4. Full Business Presentations to a wide range of types of buyers. 5. Due diligence responce support and 6. Our What-If Strateglic review of the business that shows how to improve the value and marketability of your business. Our motto is "BE PREPARED IT IS NOT JUST FOR BOY SCOUTS." My background is fully operating business ranging in sales from $18 million to $300million. We have helped business the United States, Canada, Mexico, Japan, Taiwan, Australia, The Philippines, and China. We have had over 190 clients in manufacturing, distribution, medical systems technology, distribution, international trade, software development, bakeries, drug stores, National Laboratories, and many others. We also work with M&A firms, Law Firms, and Investment Companies to provide specialized assistance when needed. Give us a call or send and e-mail to see if one of our programs is best for you.